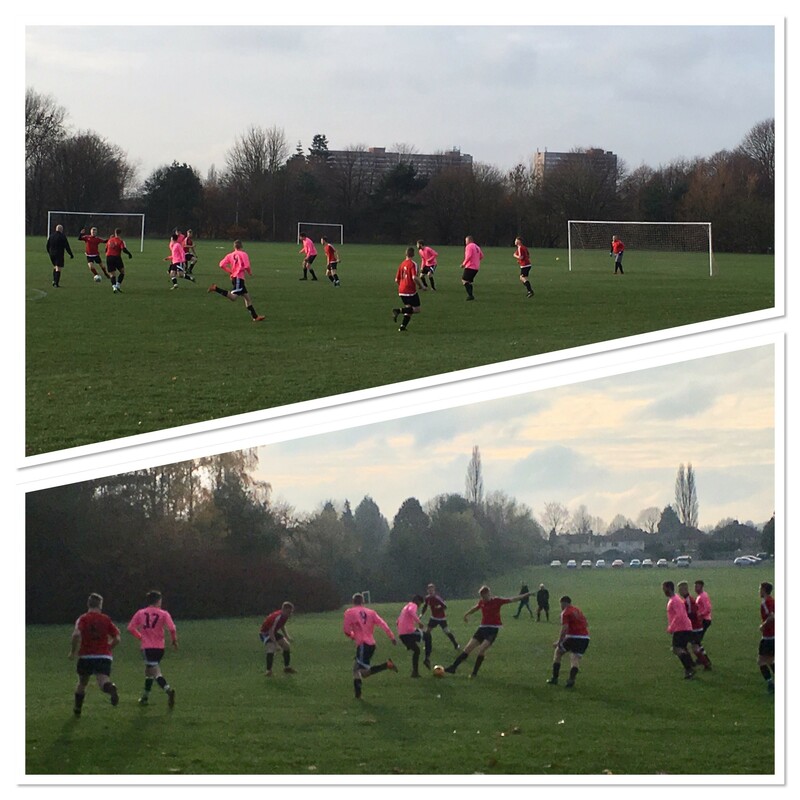 Following on from a Welsh League Cup semi-final in south Wales and a trip to Macclesfield Town in the English Football League, the third game in as many days saw me on playing fields in the Penn area of Wolverhampton. The Beacon Football League is ideal for me as far as getting to games is concerned. Assuming I’m home, it all fits in very well time-wise with my Sunday afternoon schedule. Church in the morning followed by a game of local football. This season alone I’ve been to national stadiums where I’ve been in the press box commentating on Champions League games. I’ve also been on playing fields, avoiding dog mess. Apart from the canine reference of course, I enjoy all the matches that I go to. Hence, setting off the short distance to Windsor Avenue Playing Fields to watch Dudley Rangers United play AFC Springfield in the Clinton Cup wasn’t just a groundhopping box-ticking exercise. It was a pleasure. The visitors held a 2-0 lead at the break, courtesy of two goals in four minutes. Following a long throw in the 25th minute, a well-placed shot in the crowded penalty area broke the deadlock. A good run down the left saw the ball slotted past the keeper, as AFC Springfield took control of the game. Just seven minutes into the second period though, Dudley Rangers United were given a lifeline as the keeper was beaten by a ball to his right. The door back into the game was forced open even further in the 77th minute. Following good play down the left, the ball into the box was slotted home. Five minutes on, the home side took the lead for the first time in the game, with a rocket shot from the edge of the box. Take a bow, that man. The comeback was completed in style with a cool finish in the 40th minute. Interestingly, the referee only played 42 minutes in the first half and just 40 in the second. When you take into account the several minutes that were lost due to a clash of heads in the first period alone, that was just 70+ that was actually played. Keep up to date with my blog entries, and more, by liking my Facebook page. Visit my groundhopping pages HERE.